With Marie's Shoe Designer you can now live your dream to design and create your own shoes. Marie's academy helps you through the design process with cool predefined elements and in no time you will be designing not only shoes but true fashion statements. Once you are happy with your creation you can easily take a screenshot and send to your friends to inspire them or to get your well-earned compliments.Making your first steps into the fashion world has never been easier! 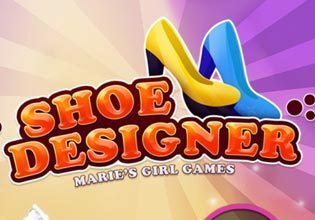 Now live your dream and play Marie's Shoe Designer now for free! Show the world that you have the style and taste to keep up with the world's best designers!